NASHVILLE, TN (June 11, 2012) -- TNA Wrestling President Dixie Carter emotionally announced that “The Icon” Sting will be the first wrestler to be inducted into the recently announced TNA Wrestling Hall of Fame in front of the company’s largest crowd in the US to attend a live event. Slammiversary X is the ten year anniversary pay-per-view event for TNA Wrestling that was held at the College Park Center, in Arlington, Texas. The “TNA Hall of Fame” induction celebration will take place in October at Bound For Glory. “The 10 year milestone is an incredible achievement for TNA,” stated TNA President Dixie Carter. “In honor of that, we felt it was time to begin recognizing the contributions of those who have made the greatest impact on our success. And now I am thrilled to announce that “The Icon” Sting will be our first-ever inductee into the hall. “Sting came to TNA when we needed a major superstar to help establish the company. It made a statement when he signed with us, and he helped pave the way for other major names to join the roster. Eight years later he continues to reinvent himself, and I think he is doing his best work-to-date,” Carter continued. In the world of professional wrestling, there are the stars of today, and then there are legends that surpass time. The man called Sting falls into both categories and in turn can only be called “The Icon.” Throughout his unparalleled career in professional wrestling, Sting has been a multi-time World Champion, having defeated such stars as Hulk Hogan, Ric Flair, Kurt Angle, and countless others. After a two year hiatus from the ring, Sting exploded back on to the scene in 2006 to reignite an unsettled feud with Jeff Jarrett. Within his first six months in TNA, he captured his 8th Heavyweight Title at TNA’s most illustrious event, Bound for Glory. Sting would continue to mark Bound for Glory as his territory. He captured the TNA World Heavyweight Title three consecutive years at Bound for Glory. Each victory would continue to cement his legacy, as he defeated Jeff Jarrett, Kurt Angle, and Samoa Joe. TNA Entertainment, LLC is a privately held sports entertainment company based in Nashville, Tennessee that specializes in events, products, numerous TV properties, merchandise and music, as well as, the management and promotion of professional wrestlers. 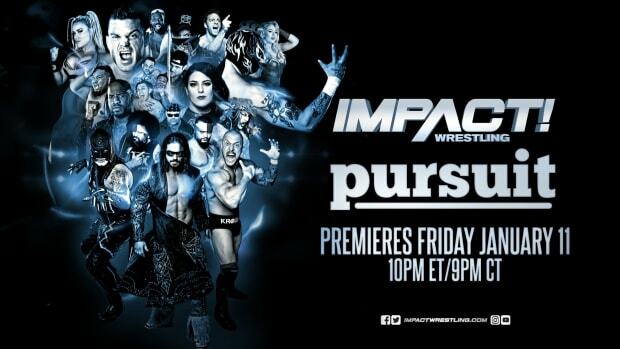 The roster features such greats as Hulk Hogan, Jeff Hardy, Kurt Angle, Sting, James Storm, Bobby Roode, Rob Van Dam, Velvet Sky, Brooke Hogan, the lovely and lethal Knockouts and many more through its highly successful TNA IMPACT WRESTLING weekly broadcasts on SPIKE TV. In addition, TNA produces monthly PPV events and over 100 live shows a year. The product is the world’s most innovative experience in professional wrestling and is broadcast in over 120 countries. For more information, please visit www.impactwrestling.com.